I’m a PhD candidate at Princeton’s School of Public and International Affairs. I’m passionate about using technology to help governments in emerging economies become more effective and inclusive, particularly in the provision of health care, education and broadband internet. I get my energy from designing and implementing participatory, decentralized and agile solutions to hard civic problems. Some of my favorite experiences have been working for Google to bring more and cheaper broadband to Africa, helping Stanford’s d.school re-imagine their executive design thinking bootcamp for Jamaica’s Ministry of Agriculture, and advising Duma, a company that helps informal workers find jobs through their mobile phones (I’m also an investor). I helped launch Code for Kenya, a bid to bring Nairobi’s formidable tech talent to bear on health, water and education issues, and co-founded Apps4Africa, an early civic tech challenge lauded by Secretary of State Hillary Clinton. My current project explores what happens when public service providers in emerging economies adopt data-driven and participatory governance systems. I use statistics and field work to understand how these systems change management strategies, and why some systems are robust, a computer science term referring to the ability of a system to perform well not only under ordinary conditions but also under conditions that test its designers’ assumptions. I also do some policy writing, in academic journals like UCLA Law Review Discourse and on websites like Stanford Social Innovation Review. I love to run on trails. I blame this mostly on Alex. Some of my most memorable races include the Courmeyer-Champex-Chamonix (CCC), which partially circumnavigates le trail du Mont-Blanc, the Burning Man Ultra-Marathon, and the Ultra Race of Champions (UROC) in its previous incarnation in the Blue Ridge Mountains. Hello Joshua. I really appreciate the good work you are doing. I just wanted to know...what prompted U to leave the coziness of USA to venture into Africa?I really want to know bcoz i see you living my dream. I always wanted to do something which could bring about a positive change in the world. Anywayz...keep up the good work.Take care. It is very important to see a yang men heading towards the light. Hello Joshua I am from turkey I want to ask something to you but I think your mail address is not full seen in your page can you send me your mail address.thanks. do u know many codes of it? How long have you been in Uganda? Your blog about the Bantu Jews caught my eye? Can you tell me more about them? I am a Nigerian, living in the US... for now. Thanks.. Just leave a comment on my blog when you get a chance.. Thanks again. I was in Uganda last summer as intern for the British High Commission, Kampala is a very special place. Good luck with what you're doing. at least someone is living out my life-long dream. The work that you do helps bring initiates thought. We are often captured by celebrities making pit stops and adopting children for whatever social obligation or trend that may be in. However the lives of people dibilated by war, AIDS, lack of water and other social ills far too often fall under the radar of mainstream news organizations. Continue the wonderful work that you do. Hey,Josh as usual you do fascinating happenings.This time am very interested to join you after mapping out that route from Kampala down-south.P`se keep up with your innovativeness and vision. My name is Tamara. I just came across you blog site and really enjoyed reading about your experiences in Uganda. I actually stumbled across it because I was looking up information on running clubs or marathons in Kampala. My husband and I moving to Uganda for a year and possibly spending time in Ghana too. We are working with a company called KIVA (kiva.org). They work in micro-finance providing small business loans via the internet. 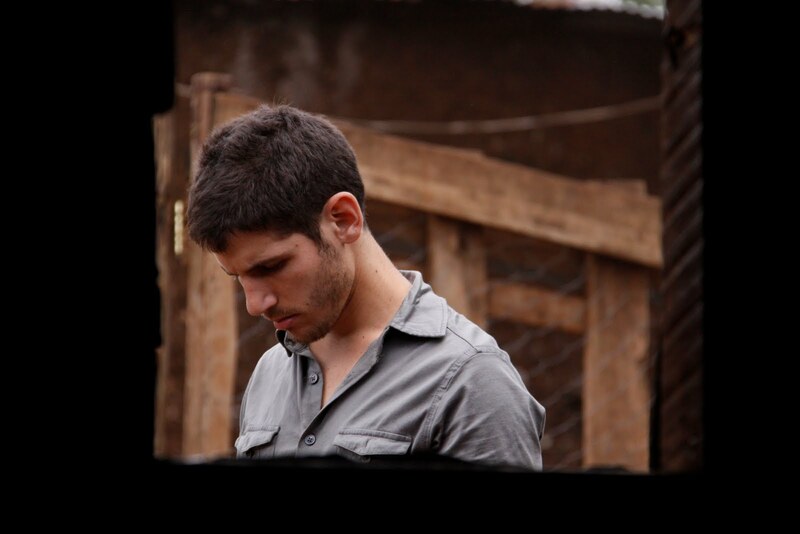 We'll be working the organization, Life In Africa, which works with many of the victims from Gulu. Anyway, we are trying to figure out a place to live for a year or less. Any suggestions on good places to live? Also, I run about 15 miles a week here and am wondering if I will be able to find places to run. I saw there were some health clubs to join, but wasn't sure about the safety of running outside. Any suggestions or comments you have would be so helpful! Hey Josh, just happened upon In an African minute. Kool blog space. How U liking Boston, hope it's NOT TOO DIFFERENT from Uganda. did U ever find that shortest bicycle route between Kampala and Cape Town? I especially appreciate your involvement with youth. I will be coming here more often. Impressive bio- what did you study as an undergrad, and how'd you get into what your doing now? Also random question- would you happen to have Dr. Stockley's email address? I was in Uganda last year, and need help solving a medical mystery. Joshua Goldstein is in search of the best route to bicycle from Kampala to Capetown. All content © Joshua Goldstein. This work is licensed under a Creative Commons Attribution-NonCommercial-ShareAlike 2.5 License.